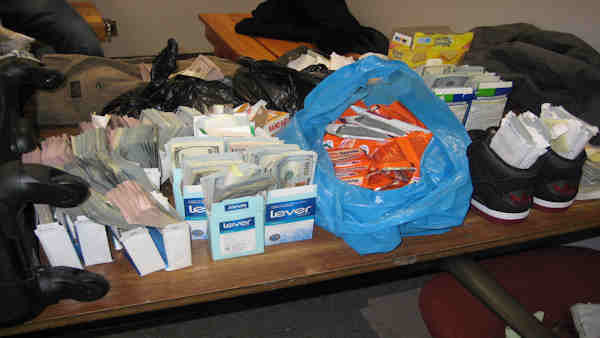 JAMAICA, N.Y. -- More than $770,000 in cash was found hidden in luggage checked at Kennedy airport. Abdulkarim Altareb, 48, was boarding a plane to Qatar March 1 when United States Customs and Border Protection officers asked him to declare the cash he was carrying. Altareb claimed he had $6,500, but the agents found $770,000 in $100 and $50 bills. The money was found in boxes of Alka-Seltzer, Thera-flu, Dove soap and Band-Aids. There is no indication that the money was meant for illegal purposes.